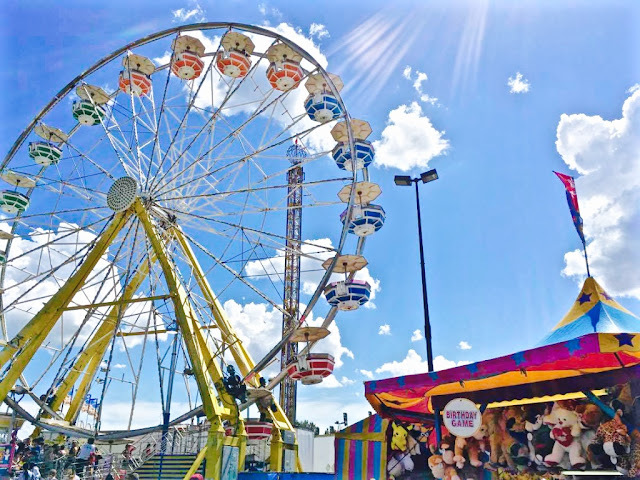 Edmonton's biggest and oldest summer festival is back with exciting new rides, foods, and live music! SUMMERTIME in Edmonton just wouldn't be the same without K-Days. 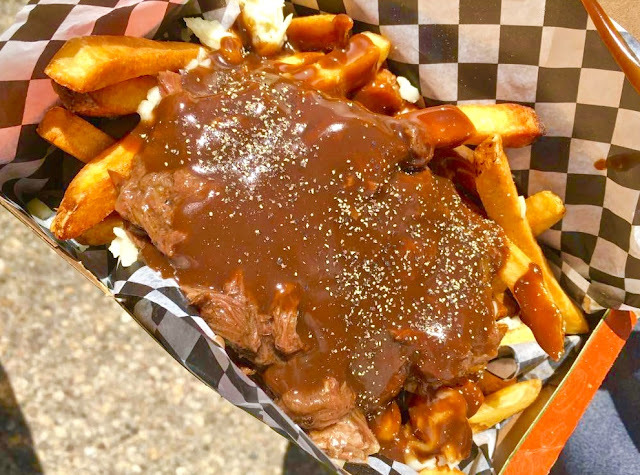 For 10 days and nights every July, visitors and locals alike congregate at Northlands for the sites, sounds, and tastes of what has become our longest tradition here in Edmonton (since 1879). If you're from Edmonton, you've been to K-Days! This Ferris Wheel is just one of the 53 rides at this year's K-Days (July 22-31)! I was in my single digits when I got my first taste of Klondike Days, way back in the '80s, and it was spectacular! The bells and alarms coming from the giant steel amusement rides, the smell of greasy goodies, and all those flashing lights glowing in the warm summer night. These are memories forever etched into my mind, memories that are conjured up this time of the year, without fail. And although our family has changed a lot over those years, K-Days - or at least the essence of it - has stayed pretty much the same...other than the prices, of course! That's why Edmontonians keep coming back every season, about 800,000 of them! 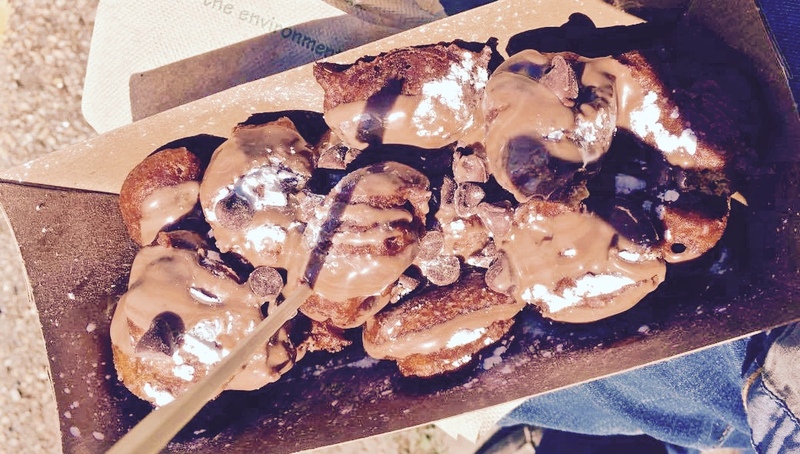 The yummy Deep-Fried Coffee treats are one of the many new menu options this year! I took my 18-year-old nephew and his buddy to the kick-off of K-Days 2016 (July 22-31), on Friday afternoon. We couldn't have asked for better weather, and the crowds were just starting to get heavy, which is great if you're trying to avoid line-ups (btw, you can purchase a Midway Express Access Pass for $25 that will allow you to skip the lines!). Although my nephew and his buddy were here for the rides more than anything, I had come for the food! As usual, K-Days offered up an impressive menu of fair food, from the traditional to the...umm...not so traditional, as in Teriyaki Chicken Perogies, Rainbow Grilled Cheese, Churro Stuffed Oreo "Corndogs," and something that I didn't think would be as freakin' good as it actually was, the Deep Fried Coffee! The elk poutine was "awesome," according to my nephew! Others come for the carnival games, the beer gardens, the exhibits, or of course the live entertainment. K-Days has put together a stellar playlist of talent once again, and all of which is included as part of your gate admission! Singers and bands like Matthew Good (July 23), Moist (July 24), The Trews (July 25), Tom Cochrane with Red Rider (July 28), Simple Plan (July 30), and Finger Eleven (July 31) will all take to the TD South Stage at 9:30 each evening! Whatever the reasons why you'll make your way down to K-Days this season are, you're not going to be disappointed. It's time to make some new memories of an old tradition. If you need to purchase tickets online or would just like more information on ticket prices, click HERE! Click HERE if you wanna check out a map of the grounds this year! Oh, and don't forget that the fireworks happen EVERY night at 11:00!